In just over a week's time, Collabora will be heading to Brussels to take part in the 2019 edition of FOSDEM, a two-day event organised by volunteers to promote the widespread use of free and open source software. Taking place at the ULB Solbosch Campus on February 2 & 3, FOSDEM is widely recognized as the best and biggest conference of its kind in Europe. There are two major families for the choice of operating system and ecosystem: RTOS-based and Linux-based families. Smaller, cost-constrained devices tend to benefit from the simplicity of RTOS-based, while more full-featured and complex devices benefit from the richness of Linux (see The Shift to Linux Operating Systems for IoT for more background on the reasons for these approaches in IoT). Linux has been used in embedded devices for almost as long as it has existed (see here for an excellent timeline of early embedded Linux usage by Chris Simmons). The focus here is on Linux based products, as they have the needed functions such as access controls and memory segregation that allows for upgrading portions in a controlled fashion. Support is set to end for all Windows 10 Mobile devices by the end of this year, and Microsoft is already beginning to retire apps in anticipation. In an update to the , Microsoft has noted that the app will be "officially retired" on February 28, 2019. You'd think the world of open-source would escape this cheap reduction of human intellect. But no. The world's saddest violin is playing mightily loudly in the halls of Tux, too. Linux distributions are, by far and large, less stable, less ergonomic and less capable than they were five or six years ago. Lots of activity, few results. And when you do get results, they are made by devs for devs, object-oriented software solutions that intrude into the user space and complicate things without any benefits. Systemd is a good example. Wayland is another. Network tools yet another. Then, we also have the flattification of UI elements, the same kind of stuff that Google's been doing. And everyone is doing it, because hey, if Google does it, then if they imitate Google, they will be like Google, right. None of these things help, but we can tolerate them because they don't really make any difference in the overall story of human survival. Don't embrace the change. Evaluate the change. Judge it. Be strict. Because we've come too far as a race to allow stupidity to become the driving factor. That's an insult to the billions of humans who have died to mosquitoes and common flu and famine so that we could reach an evolutionary point where people accept low-quality, low-efficiency nonsense into their lives, and then sermonize about that with the obtuse optimism of religiously passionate fanboys. But there's a happy side to this story, too. Not that long ago, I wouldn't contemplate rejecting the "modern" technology that much or that often. There was almost a thought of discomfort at such a move. But now? It does not seem so bad. Having gone through a few cycles of big tech changes, I don't see anything special or revolutionary in the Peckham water that companies are dishing out to the masses. It's an almost liberating thought, sprinkled with illumination, epiphany and other long words. Perhaps I should thank the agile crowds for this unintentional contribution of disdain and apathy. Good stuff, I'd say. Be if you're still out there, wondering if you can change the world, start by small things. Say no to stupid things. Don't embrace the change, embrace critical thinking. Arm continues plumbing the open-source GNU compiler toolchain support for their next-generation "Ares" high-performance server/HPC core. Back in November they presented the initial Ares compiler patches for GCC. Those patches presented Ares as an ARMv8-based design that has statistical profiling, dot product, and FP16 extensions by default. 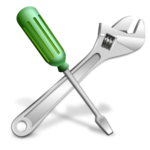 We've also seen other Ares toolchain patches by Arm developers like the recent GNU Assembler support. Anavi Technology has this month launched a new product via the Crowd Supply in the form of the ANAVI Thermometer, an ESP8266-powered, open source, wireless dev board equipped with temperature and humidity sensors. The Anavi Thermometer Development board is fully compatible with the Arduino IDE, PlatformIO, and Home Assistant via the MQTT messaging protocol. Watch the demonstration video below to learn more about the open source dev board and its features. In this video, we look at Archman 2019.01 Openbox. Acrosser’s 3.5-inch “AMB-BT19S1” SBC runs on an Intel Bay Trail SoC and offers up to 8GB RAM, dual display support, plus SATA, mSATA, mini-PCIe, serial, USB 3.0, and GbE ports. With newer Atom processor families such as Cherry Trail, Braswell, Apollo Lake, and now Gemini Lake, the popular, five-year old Bay Trail product line appears to be close to “legacy” status. Yet, aside from graphics capabilities and support for the latest memories and peripherals, there’s not that much separating Bay Trail from Gemini Lake in terms of CPU performance and power consumption. Depending on the price, an “entry level” Bay Trail SBC like Acrosser’s 3.5-inch AMB-BT19S1 board could be the smart move for some applications. We had our first meeting of the year. The full logs from our meeting are available here on the Fedora mote application. I have pasted the minutes of the meeting at the end for your convenience. The meeting was broadly for the team to come together and discuss a few things. We checked on the status of current tasks, and discussed our future steps. We've got to work on our documentation, for example. There's a lot to do, and a lot of cool new things to learn---in science, computing, and community development. If you'd like to get involved, please get in touch. Alibaba has bought Berlin-based startup Data Artisans for a reported €90 million (£80 million) in a deal that will see the $39 billion (by 2017-2018 revenues) Chinese juggernaut take its in-house Apache Flink code developments open source. Data Artisans was founded in 2014 by the creators of data stream processing engine Flink. It won Intel Capital funding for its Series A round in 2016 and appears to have also had Alibaba backing in an unreported Series B. A Phoronix reader pointed out LCZero (Leela Chess Zero) a few days ago as an interesting chess engine powered by neural networks and supports BLAS, OpenCL, and NVIDIA CUDA+cuDNN back-ends. Particularly with the FP16 cuDNN support, this chess engine can be super fast on NVIDIA's latest Turing GPUs with tensor cores. With LCZero's build process being sane for its different back-ends and the program turning out to be benchmark-friendly and meeting my requirements, it's now available via the Phoronix Test Suite with a simple phoronix-test-suite benchmark lczero (granted, the back-end support may obviously vary depending upon your hardware/driver support) and more details over on OpenBenchmarking.org. The rise of Geometry Wars 15 years ago on the original Xbox led to a slew of imitators across all platforms. However, the biggest thing it did was revive the long-dead twin-stick shooter genre. Small attempts had been made to revive it in the form of a new Robotron game in the late '90s, but nothing stuff until Bizarre Creations' fun little side game brought the shooting sub-genre back into the limelight again. Later full-fledged entries saw it gain even more popularity, and since then, it's had a bit of a downward turn once again. Enter Smith and Winston - beyond its gun brand-inspired name, you have a game that blends retro with modern in a unique way. In recent months, the HPE’s, Cisco’s and VMware’s of the industry are offering their core customers cloud services previously dominated by the big three providers: Amazon, Microsoft and Google. The latest buzzword is DevOps, and it refers to a merging of the responsibilities between data centre operations teams and developers. Everyone who remembers the Etch A Sketch slabs of yesteryear remembers how difficult it was to translate your vision onto its "magic screen," and how proud you felt upon success. Now, Google's Chrome Labs has translated that experience (quite literally) for the digital age with the fun Web A Skeb project. It's a browser-contained version of an Etch A Sketch that you can use to draw and doodle—if you can get the hang of its dials. Google's Chrome Labs lets developers make weird, fun, and interesting projects to show the power that a simple Web browser has. Those involved have produced things like the open source image compression tool Squoosh, the Web actor library Clooney, and Project VisBug, a Chrome extension that lets users edit webpages using design tool interactions and hotkeys. Web A Skeb is available not only in Chrome but in other desktop and mobile browsers as well. It's actually a bit easier to draw on mobile, since you can use both of your thumbs to turn the dials at the same time. Those interested can check out the source code on GitHub. AWS' introduction of the DocumentDB managed database service sparks competition with the backers of the popular MongoDB database, as well as debate over the nature of open source licensing. DocumentDB is a fully managed document database service that is compatible with MongoDB workloads. Rather than build on MongoDB's core code base, it implements an API that supports workloads from MongoDB 3.6 and earlier. This effectively emulates the responses that a MongoDB client expects from a MongoDB server, and customers can use their existing MongoDB drivers and tools, AWS said. MongoDB is the fifth-most popular database today, according to ranking site DB-Engines.com. Its parent company provides commercial support for the service, which went public in October 2017 and is now valued at more than $4 billion. ONAP resulted from The Linux Foundation combining two of its open source projects into one for automating virtual network functions in software-defined networking (SDN) and network functions virtualization (NFV) implementations. A few years ago I started to suggest to TXLF staff that coming to Dallas was a good idea. I wanted there to be more tech conferences in Dallas, and I love the community organized nature of TXLF and similarly SCALE. Plus, it was Texas Linux Fest, it can't always be in Austin! This year I was able to convince them to take the risk and try a year in Dallas. It is a huge risk, as it is likely that many sponsors and regular attendees might not be interested in traveling up I-35 to attend. Being in Dallas also opens up huge opportunity to reach new audiences and new sponsors. Now to prove that. Hello testers, Kiwi TCMS has taken on a brave new mission! We would like to transform the testing process by making it more organized, transparent & accountable for everyone on your team. Our goal is to improve engineering productivity and participation in testing. The following blog post outlines how we would like to achieve this and what goals we put before ourselves for this year. The in-house Google Chrome ad-blocker, which was initially launched for United States, Canada, and Europe last year, is ready to roll out worldwide on July 9th, Google said in a blog post. Google has been following the Better Ads Standards from the Coalition for Better ads for more than a year. This group’s sole purpose is to improve the user experience while surfing the web. David Egts, chief technologist for the North American public sector business at Red Hat (NYSE: RHT), has identified open source training as an approach that the federal government can take to advance the cybersecurity and information technology skills of its workforce, ExecutiveBiz reported Thursday. The initiative, launched in November 2018 with the support of Knight Foundation, is spearheaded by John Keefe, Quartz’s technical architect for bots and machine learning, who previously led the Quartz Bot Studio. A team of researchers at Tel Aviv University in Israel has developed a new multiphoton microscopy tool, known as Pysight, for rapid 2D and 3D imaging of the brain and other tissues. Among other things, the team hopes that the tool could soon boost scientists' efforts to attain a deeper understand of brain dynamics, assisting in the discovery of groundbreaking treatments for a range of health problems including stroke, epilepsy and dementia. Pablo Blinder, who heads up the team at the Neurobiology, Biochemistry and Biophysics School and Sagol School for Neuroscience at Tel Aviv University, explains that PySight combines commercially available, off-the-shelf hardware with open-source software tailored for photon-depleted imaging conditions, such as those characteristic of rapid multiphoton microscopy. “[PySight’s] commercial hardware converts the noisy output of each photodetector into uniform photon detection events, and registers their absolute arrival time with a temporal precision of 100 picoseconds,” he says. In a recent paper published in the journal Optica, Blinder and his co-authors demonstrate the benefits of using PySight for tracking neuronal activity in awake mice and fruit flies. While initially developed with neuroimaging purposes in mind, Blinder reveals that the tool could just as easily be used for a range of other imaging applications - including detection of malignant cells in human patients during surgical procedures.